The last couple generations of Eclipses were insults to the name anyway. This thing is ugly and probably slow with the 1.5T/CVT combo. And looks like a 1986 Mitsubishi Mirage. GM called. They said they are trying really really hard to forget about the disaster that was the Aztec. Seeing the rear end on this thing brought back a slew of bad memories for them. They would normally ask for the rear end to be returned to them, but in this case they said keep it and good luck with that hideous thing. I think it has a nice design. The name is aimed at bring back those Gen Xers who has the coupe back in the late 90's and who now has a family that needs an SUV. I agree about the Outlander Cross name. Using the "Eclipse" name might have been a last minute brain fart. DOES ANYONE KNOW IF THIS IS GOING TO HAVE A PLUG IN HYBRID OPTION? I have not heard of a Plug-in hybrid option at launch. But it should be available later. I think this is a big mistake. A couple of years ago, Mitsubishi claimed they wanted to be all EV/Hybrids/Plug-in. Is this actually a class smaller than the Outlander Sport? 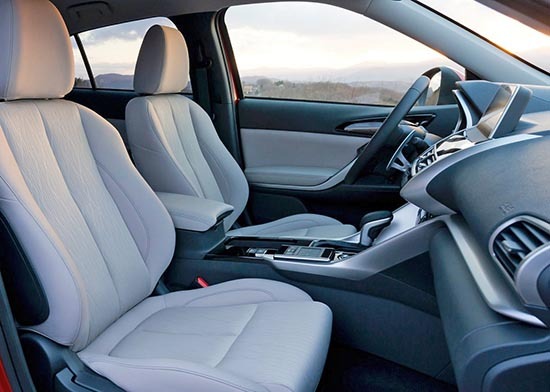 I would have expected this to be a replacement for that model instead of an all-new model, since the larger Outlander the Sport is based on was redesigned 3 years ago. Mitsubishi AZTEK. The answer to a question that nobody was asking. Good luck with that. I actually think it looks fine. 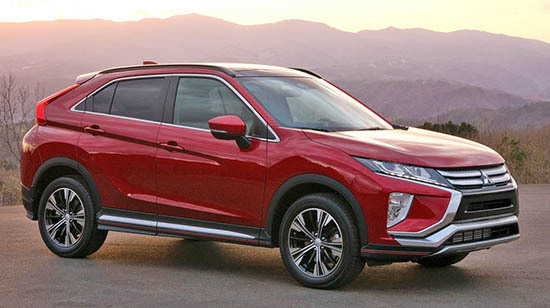 I sort of understand the comparisons to the Pontiac Aztek as far as the split rear window design, but Mitsubishi managed to successfully pull off this design cue. The Aztek had ungainly proportions; the Eclipse Cross is well proportioned and quite attractive. Other than the fact that both vehicles utilized the split rear window design cue, I really don't see much else that I would consider similar between these two vehicles. 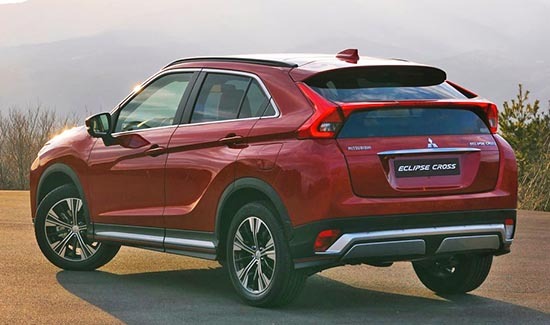 I also don't think Mitsubishi is out of line for using the "Eclipse" name on this crossover. From what I understand, Mitsubishi is going to offer a lineup mainly consisting of crossovers, especially in the crossover crazy US market. I think the "Eclipse" name still has some market equity for Mitsubishi in the US. Instead of letting a good name gather dust on the shelf, Mitsubishi has decided to utilize it to fit its new product strategy. I think it's a smart move. Build the products the market wants to buy and use your most recognized names to bring attention to those products. I would be surprised if the crossover that slots below the Eclipse Cross isn't christened "Lancer Cross". The "Outlander" name will probably be retained for Mitsubishi's largest crossover. Giving each product its own name gives each product a unique identity. 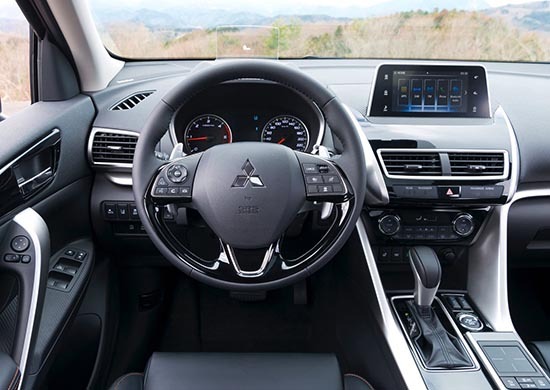 Hopefully, Mitsubishi nails the refinement and build quality on this new crossover. A nice looking design or an interesting name doesn't cover up bad engineering or poor build quality. The design? Good from inside and rear. The front looks more Remington Razor. Should have looked more Lexus Gaping Maw. But will it drive well? Does anyone even know the name Mitsubishi anymore? They have a lot to overcome. Maybe they only had a couple names still left registered. They should never have joined with Chrysler in Normal IL - that was the start of their decline.